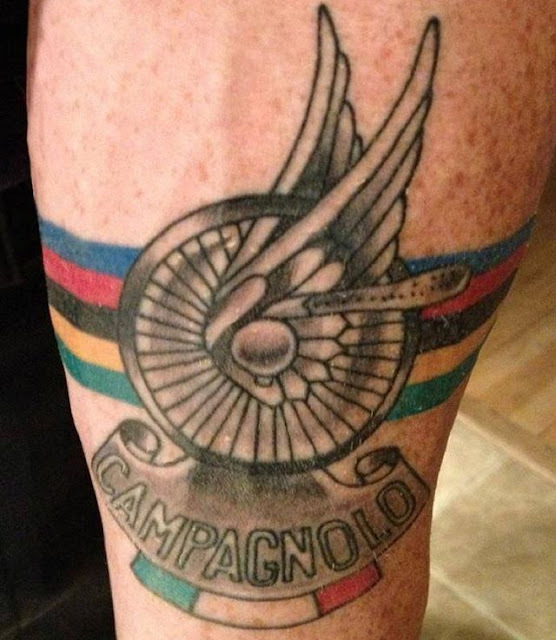 Some people are obsessed with bicycles, and some people are obsessed with tattoos....and when the two worlds collide some choose to display their obsession for all to see. 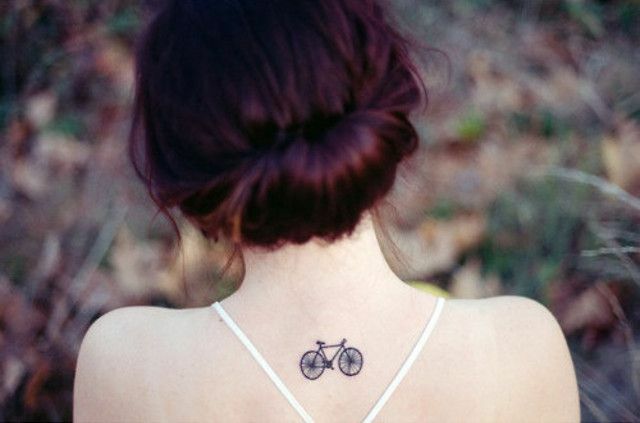 I don't have any tattoos, but I'm almost tempted to indulge after seeing these images of cycling tattoos. 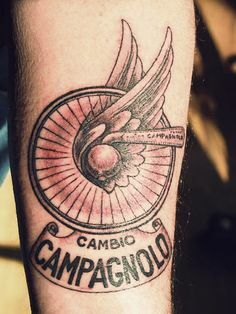 For some strange and seductive reason the Italian "Campagnolo" brand (pronounced Cam-pan-yolo) attracts much attention. 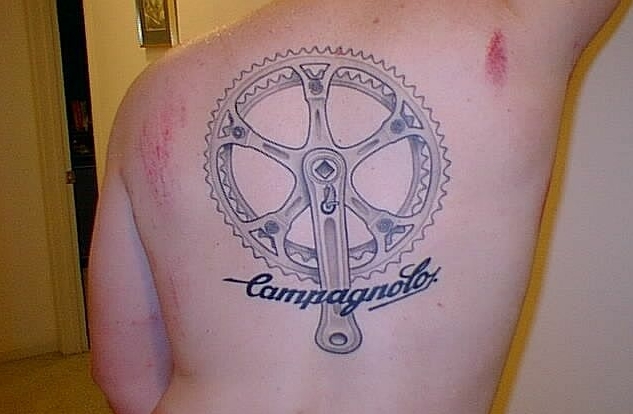 Campy enthusiasts love to display their commitment to the brand by permanently marking themselves with the famous label. 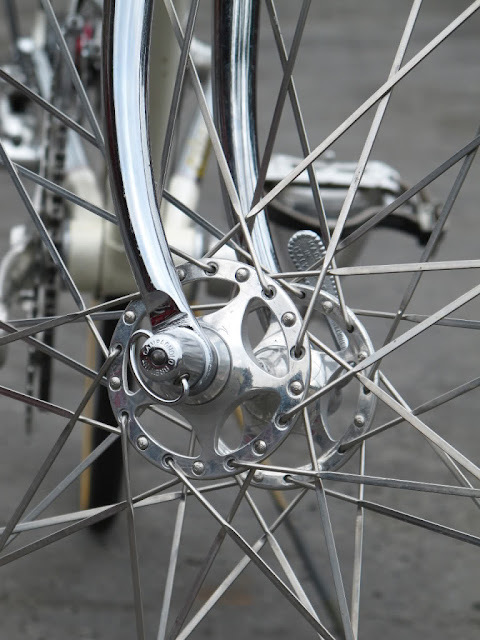 For whatever reason the famous Japanese "Shimano" brand just doesn't attract the same amount of attention for those willing to tattoo themselves. 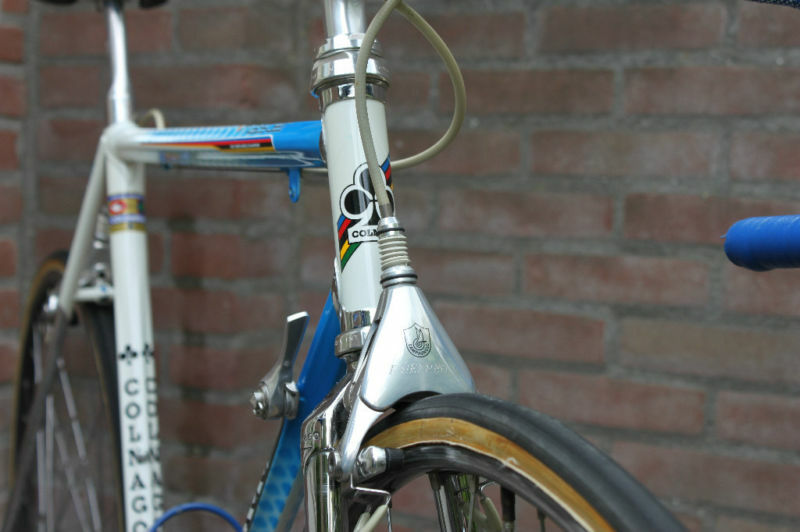 I suppose some cyclists don't want their passion mistaken for the passions of a fisherman! 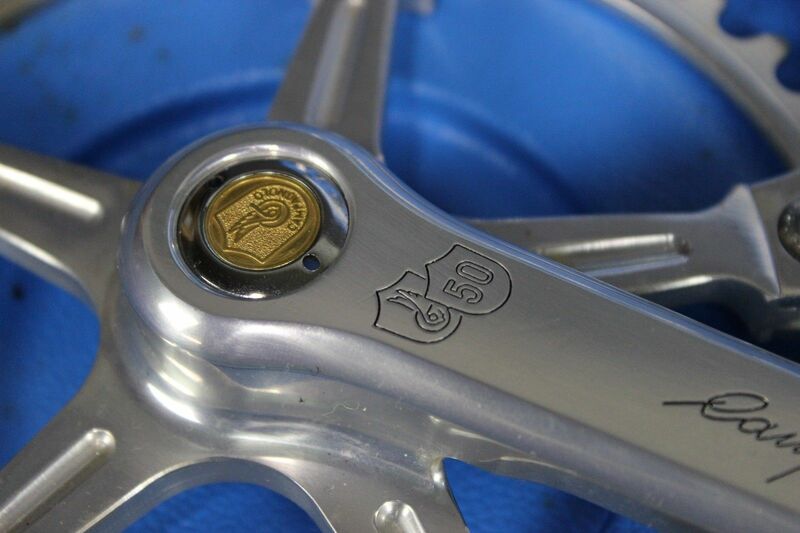 Campagnolo 50th Anniversary gold plated groupset. 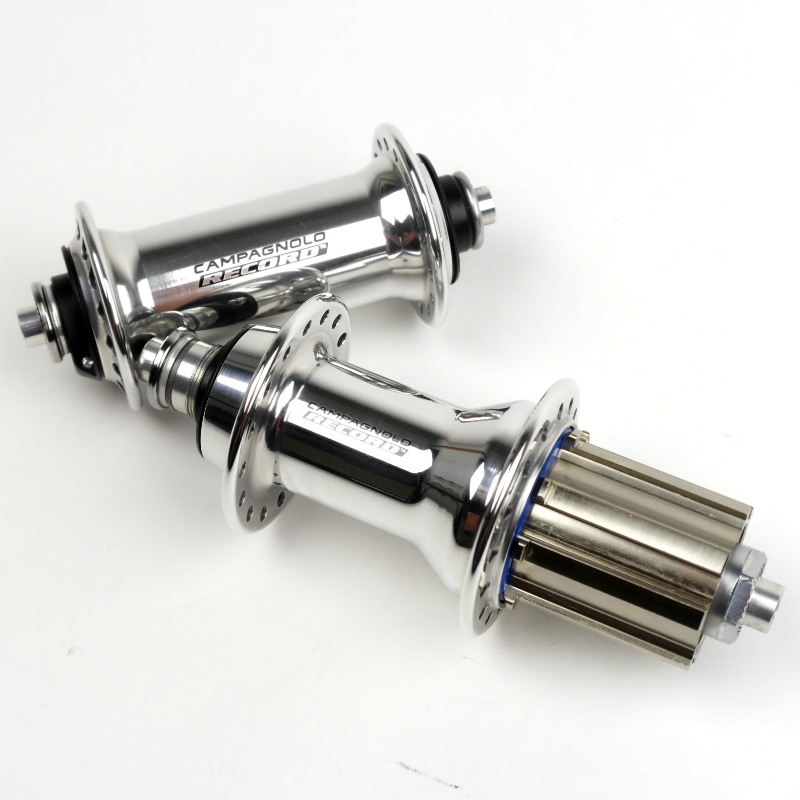 Campagnolo Delta styled brake set. Polished modern Campagnolo Record hubs. I've always thought about getting a tattoo in some shop in Perth South. Never figured out what I wanted, or where to put it. Perhaps something to do with my job but it wouldn't make sense to tattoo storage solutions or storage units though! Haha!